Corner lot on Route 9 as you head east from I-90 @ Exit 12. Great visibility from Route 9 and frontage on both Route 9 and Rt 32. At the corner of Route 32. Area of much interest and the opportunity for public water and sewer could be strong if there is a larger development in that area. 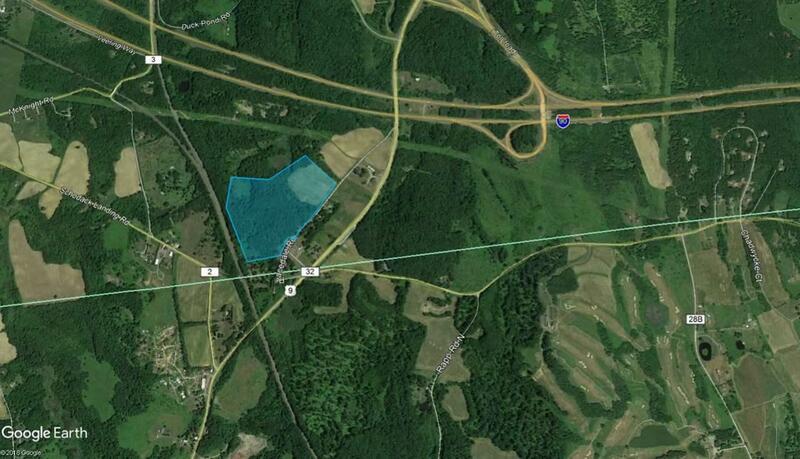 Can be subdivided at $50,000/acre. Additional land available.